This lovely device is the GAEMS M270 ProXP QHD professional grade gaming monitor. It is the first of its kind, labeled with the GAEMS professional experience ProXP branding. The monitor is designed with professional-level play in mind, and that starts with a nearly latencty-free 1MS response time. It is literally faster than what the human eye can visually perceive, which is great for any pro player’s reaction time. That’s not all that’s under the hood. 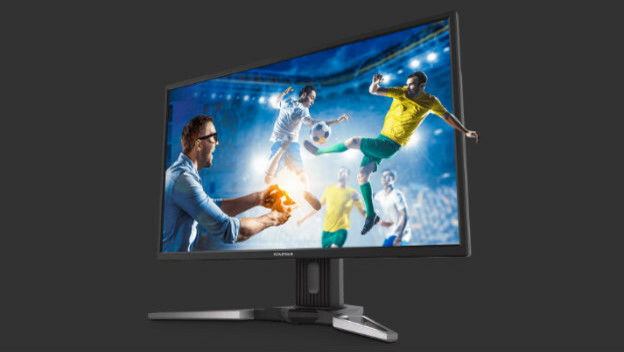 The GAEMS M270 ProXP QHD monitor is a 144HZ display, which means excellent high frame rate support, including FreeSync technology. HDR is also supported, and the monitor even comes with two display ports and two HDMI ports for maximum compatibility. If you pick one up now, you can get a free weighted stand as part of the M270 Tactical Advantage bundle. This offer is good until December 31, 2018.